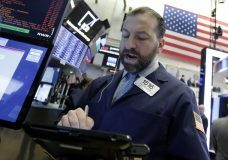 U.S. stocks headed lower in late-afternoon trading Thursday, placing the benchmark S&P 500 index on track for just its fourth decline this month. 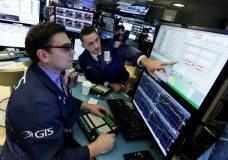 U.S. stock indexes edged mostly higher in late-afternoon trading Wednesday, on track to extend modest gains from a day earlier. NEW YORK — U.S. stock indexes found their footing after a sharp early loss Monday and finished mixed. Technology companies sank for the third day in a row.